My favorite jeans, favorite sandals, and new favorite tank!!! I'm obsessed with the soft green color of this tank, but if it's not your thing, it comes in a couple of other colors! The button down front is so trendy right now. Love it paired with the hair scarf! It was so easy to do and there are so many different ways to wear it, too. I'm getting ready to head to Murfreesboro to see my niece again..whats new lol! And then heading somewhere fun this weekend!! Everything is tts! I bought the sweater and boots - they both come in multiple colors! Both are tts! I bought both of these. So far have bought this tee in white, green, and this color. It's only $12 and I think jeans are around $40! The more I look at this pic the more I wish I would've got it. I'm wearing my normal size here but needed to size down! Did not buy this tee. The one above is WAYYY better and cheaper! I heard great things about these jeans but did not like them at all...very unflattering. I loved this cardigan, but did not purchase! Size down! Really did not like this sweater, but I had already ordered it in the yellow color! Maybe I will like that one better. This hat is NOT part of the sale...thought it was though lol. I did not buy it because they didn't have my size. I ordered this cardigan online in a different color, but loved this one too! It's tts and so so soft! This is the same hat as above, I did buy it because it was my size and thought it was on sale lol. Okay this jacket is like 3 sizes too big, but it was the only one left in the store! I'm obsessed and did order it online!! It is the prettiest olive green and doesn't have a collar which I loved! A lot of times jackets get on my nerves because I hate the collar haha! I lovedddd these joggers! They were so soft and comfy - highly recommend! Size down in sweatshirt! These leggings were really comfy, too! And the color - all the heart eyes! They were a little big, so if between sizes, size down! Loved these rose gold Nike's online, so I knew I wanted to try them on for yall! They did not have my size, so these are a little big. Also note that they are see through on the sides..like you can see your undies. But they do have built in undies! I hope this was helpful!! A lot of this stuff may be sold out, but they usually restock things randomly! The sale opens to the public on Friday, so anyone can shop! As soon as I get my online orders in, I will do another blog post!! I think this post has been my most requested ever! Disclaimer - I have only been to NOLA once and am not familiar with the city. I'm only sharing my experience and what we did! Also, wear your most comfortable shoes everywhere you go! We got an Air BNB for 2 nights - kinda stayed in a sketch part of town (we didn't know when booking it), but it was all good! The place was super cute and real spacious! We brought our own decorations too!! The first day we ventured to Bourbon St. and ate at some little cafe - I don't remember the name but it was really good! Then we just kinda hung around until we needed to go back and get ready for the night. The first night was "Black and White" night. So we had 2 brides - a double bach party! They wore white and the rest of us wore black. My dress looked REAL bad on me - it was from Nordstrom and I'm not even going to share which dress it was. It was form fitting, hugged in all the WRONG places. Like it made me look bigger than what I was! With that being said, I'm not sharing pics from that night haha! We ate at The Oyster House and it wasn't great lol - just being honest! The second day we all dressed up in our matching shirts and went to brunch! We ate at The Ruby Slipper and it was sooo good! I got a sample of there benedicts and they were all good! Afterwards, we walked to the French Quarter! Just a few pics along our walk! There are so many gorgeous buildings in NOLA! Our walk was like 30 minutes long - we were SO hot and sweaty...I had to take my weave out lol! But I think the heat was worth it because we actually got to see a lot of cute stuff! Our group pic at the French Quarter! I think it's like their court square! It was so cute and there was a lot of different shops and boutiques! We stopped at the Cafe Du Monde gift shop and bought a t-shirt. That place is popular for their beignets - we didn't get a chance to stop and eat there though. Sequin Top | Shorts | Cape - Lauren got her outfit from MissGuided! This is Lauren!! I'm going to be in her wedding in August! One of my BFF's from hygiene school! Our last night was "Girl's Night Out" themed! We just wore funky/festival clothes and it was so much fun! My cape was a hit and it was reallll fun to wear all night! If you have any excuse to wear a cape, DO IT. Seriously so fun. Okay I think I've described my cape as "fun" 3 times. Yall get the point. We ate at Oceana Grill - SO good and highly recommend! We got cheese fries and crab cakes for appetizers and they were both so good. I think everyone had a good meal! Uber's were pretty cheap! We pretty much traveled everywhere in them. Once again, where comfy shoes. I don't care if they don't match your outfit. And even if you wear comfy shoes, your feet will still hurt. Our feet and ankles were swollen for like 3 days after!! I think it's just part of the experience lol. I think that sums up our trip!! Hope this was helpful! 1. | 2. | 3. | 4. | 5. | 6. | 7. | 8. | 9. | 10. | 11. | 12. | 13. | 14. | 15. | 16. This top was very out of my comfort zone - but I'm so glad I took the plunge and bought it! I'm more of a casual oversized top kind of girl, but I just loved this top when I tried it on! It's very flattering and the wrap waist and colorful stripes are right on trend! It would be perfect for date night. 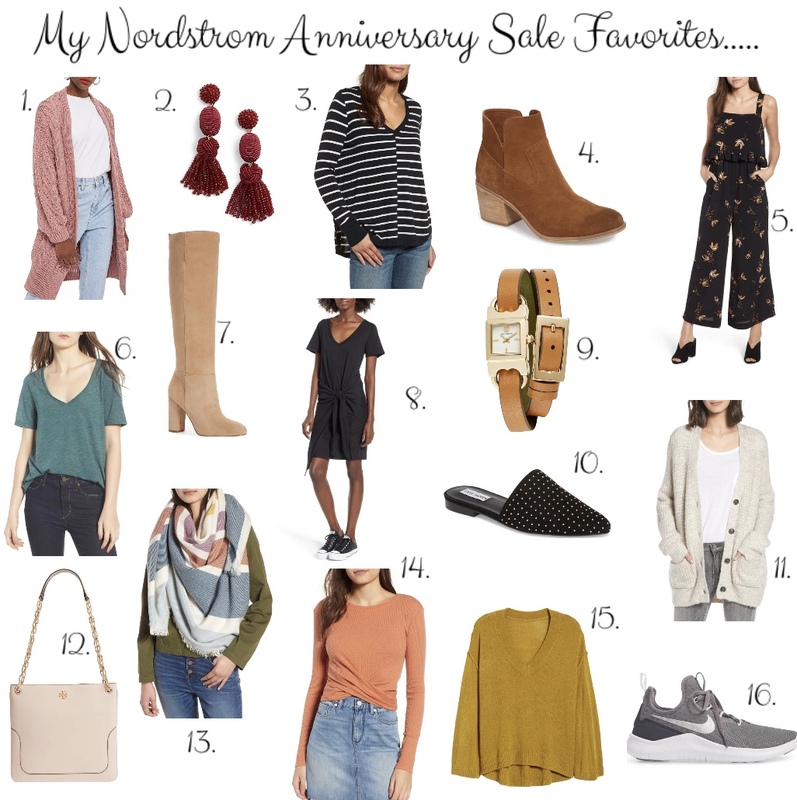 Tomorrow is the big NSALE day - I will be publishing a huge round up of my favorite items on the blog and will also have a NSALE tab at the top of my blog! Let me know if there are certain things you will be shopping for!